Many of the self-appointed “experts” and anti-clean-energy groups “masquerade as think tanks,” (Heartland, Heritage, Mackinac and Manhattan Institute) maintaining a veneer of impartiality while being funded by oil and gas interests – people like the Koch brothers (ALEC member), etc. No denial of the involvement of the Koch brothers, or campaign contributions by them and ExxonMobil. No denial of their influences in our Congress or upon members of either house as Sierra claimed. Research over the past few years has shown that when it comes to “special interest lobbying” ALEC itself is the leader in that category. These are similar claims ALEC has made regarding the very public exposure they have been receiving due to extensive research and fact checked disclosures that have been in the news over the past 18 months. In dozens of articles published by ALEC and think tanks mentioned in the Sierra Club report (and others) they have accused “leftists, Liberals and Progressives” of leading an uncalled for attack upon ALEC and the cabal. However, in each case the documentation, model bills, reports and articles published about them have been found to be accurate and well supported, resulting in 40 corporations, private foundations and more than 50 legislators to resign from ALEC. 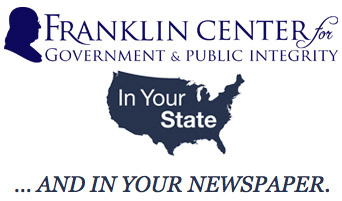 Led by the Center for Media and Democracy’s “ALEC Exposed” and the efforts of other national and activist organizations – including Occupy groups – researchers have published hundreds of informative and factual articles and reports to the public. In April of last year more than 800 pieces of until then hidden ALEC model “bills” were turned over by a whistleblower and publicized by CMD and the Nation Magazine. “In May, ALEC invited a Who’s Who of anti-clean energy advocates to a meeting in Charlotte to plot strategy. The Heartland Institute was there, even after its internal documents had been exposed and the damage of its self-inflicted wound with the Unabomber billboard had been done. The field general for the Koch brothers, Americans for Prosperity, was there. The first-string squad for the anti-clean energy team was suited up and on the field…. Did they deny the Heartland Institute was there? That Americans For Prosperity was there? That the agenda did not include anti-clean energy advocates? No, they just attempted to water it down by claiming they discussed many topics of interest to their legislative and private sector members. No denial about; Wynn’s control of the ALEC Energy, Environment, and Agriculture Task Force, didn’t deny his previous position with Cascade Policy Institute, the reports written by Wynn or his previous affiliation with the ATI. No, their response was limited to “…Wynn has never been on the staff” of ATI, instead he’s just an “unpaid fellow” that served in the capacity of advisor to ATI staff. Possibly Wynn was then “underpaid” for his valuable anti-renewable energy work while at ATI. 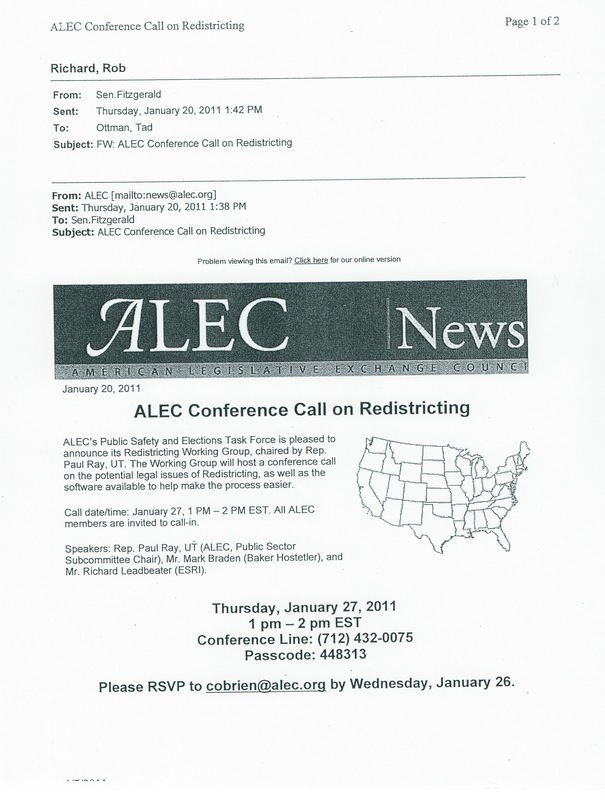 As with nearly every press release, claim, false denial or other response to the articles and reports critical of ALEC, the organization once again responded with several paragraphs of double talk and unsupported denials. Whereas the Sierra Club report is well documented with 94 end notes supporting their claims. ALEC’s response had…0 facts, no foot or end notes or links to where a reader could find where their claims or denials were substantiated. Conclusion: the Sierra Club has accurately identified the problem, the players involved with ALEC, the agenda of this cabal and how many of our Congressional officials are helping them to enrich the oil and gas companies and maintain their stranglehold on consumers’s dollars at the pump and our tax dollars paid out in needless and expensive government subsidies. The foregoing helps us understand why it has been so difficult to separate the oil and gas companies from ALEC. They cherish the power and influence they are able to wield upon state and federal lawmakers through their membership in ALEC. They aren’t as worried about their “brand” as Kraft, Coke and Pepsi were when they quit ALEC. When it comes to the oil companies, we are so dependent upon them for our fuel needs, they believe we’ll buy it because we have no other choice. That is why it is so important to push for renewable energy and break the stranglehold upon us that ALEC has given them…and above all, understand that any press release, statements or claims coming from ALEC and their sycophantic cabal members are well thought out and designed to misinform and help them succeed in their conservative agenda. The fact that global warming is real and oil companies and manufacturers are helping to further increase pollution, bringing us to the point of no-return – where the harm done becomes irreversible – has become undeniable. This summer’s national drought has demonstrated this better than any report could ever do, with Americans from coast to coast experiencing the very real effects of climate change first hand and personally. It’s time all of us begin to understand that the arguments put forth by the Koch/ALEC Cabal are nothing more than hollow words meant to distract us from realizing they will sacrifice us all – and the very planet – in pursuit of continued enrichment. They simply must be stopped!